Architect/Interior Designer/Landscape Architect of Record: 1x1 architecture inc. Mechanical Consultant: Epp Siepman Engineering Inc.
Electrical Consultant: Epp Siepman Engineering Inc. 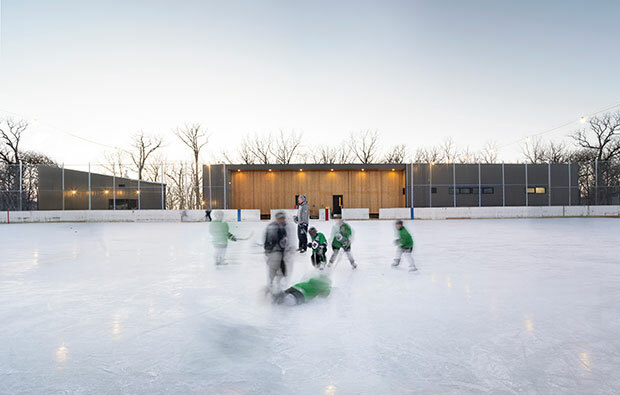 The project takes a very simple building type, the shed and elevates it to become the recreation gathering point for the community The most noble hockey implement the Zamboni is given its own spacious and carefully constructed home. The jury applauded the utilitarian modern design and sought to acknowledge this project in a small community with the hopes of promoting more submissions of elevated architecture in rural communities in future years. A special gem of a building that normally is very pedestrian and unexciting. Architecture at a modest scale, where ‘low’ inexpensive material, systems and forms are well detailed and defined by simple concept. 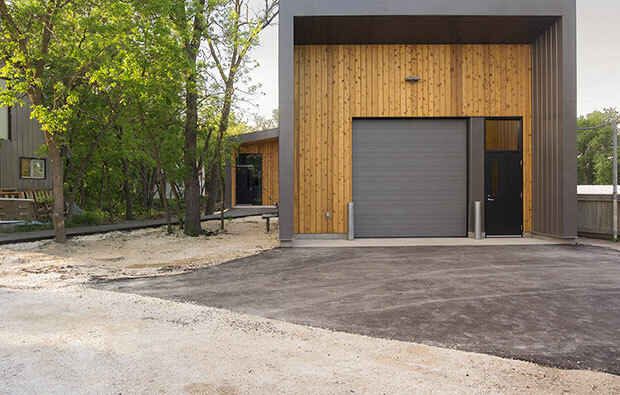 The dark boxes of programs provide a robust exterior cladding where carved-out moments are lined with knotty wood T&G cladding defining the entrances and players boxes. The wood is a tactile warm material that marks moments where one sits, engages, waits and touches the building. A place to want to be to take a break from the cold. 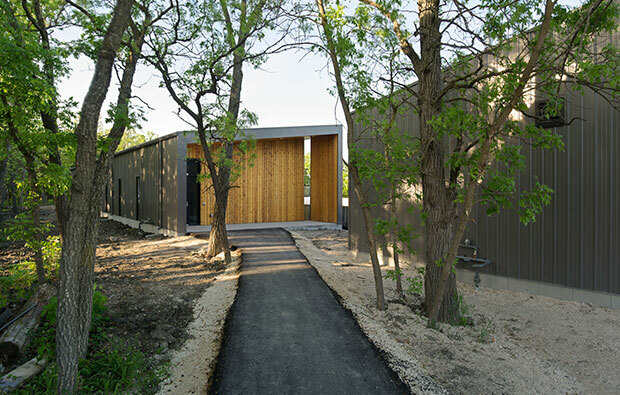 The boxes of players rooms/amenities and zamboni storage are thoughtfully placed within the landscape breaking up the program’s massing within its quiet and quaint context. 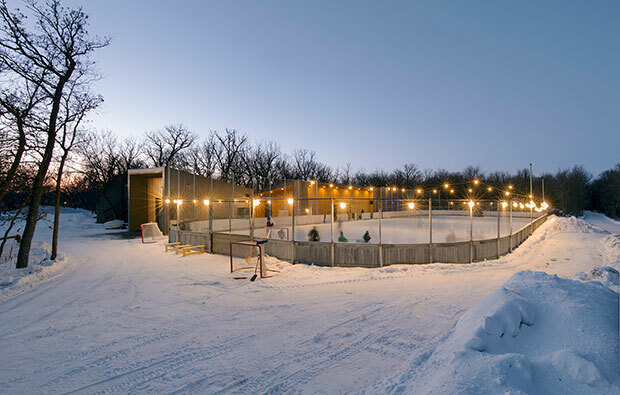 A finely detailed project that celebrates outdoor hockey while also recognizing that architecture can align with its natural setting.